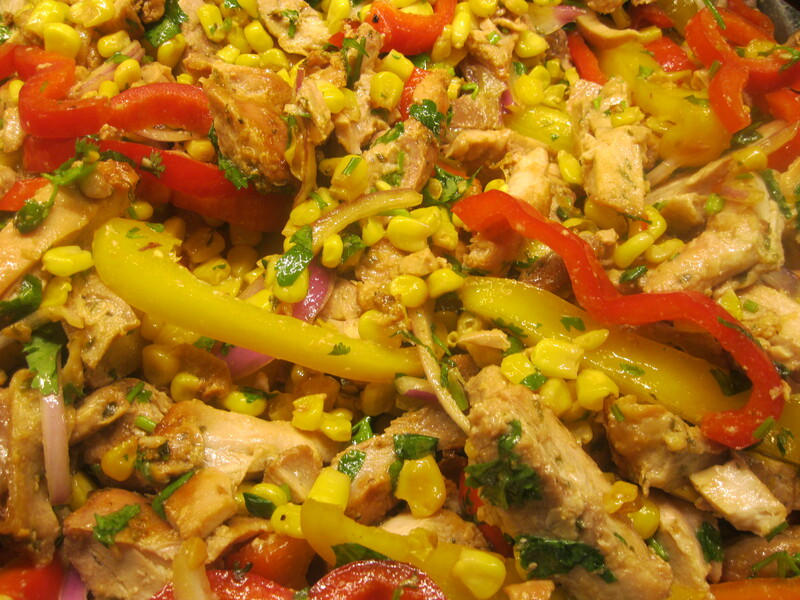 yellow bell peppers | Cooking With Mr. C.
1. In a skillet add 3 tbs. of olive oil. Brown garlic and add eggplant and peppers. Sprinkle a pinch of salt and pepper on both sides. Cook until tender and remove. (You can drain eggplant and peppers on paper towels, if you wish.) Refrigerate for at least 2 hours. 2. 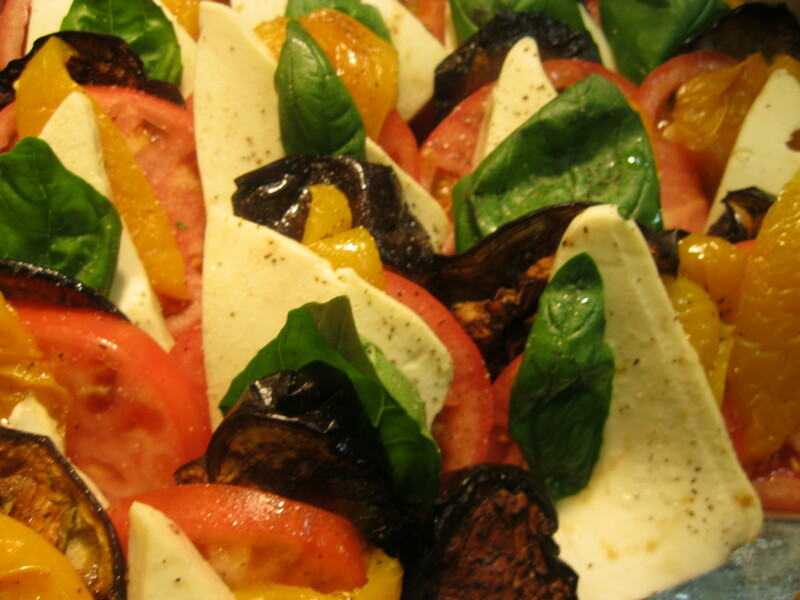 On a platter, arrange each row with a slice of eggplant, peppers, tomatoes and fresh mozzarella. Repeat the process on the whole platter. Put basil on top. Sprinkle with a little sea salt and black pepper and a drizzle of olive oil. 1. In a large bowl mix all ingredients, except olive oil. 2. Refrigerate for at least 2 hours. 3. Add olive oil before serving. Mix well. 1. Mix cutlets in egg whites and then in bread crumbs. Coat each side well with crumbs. 2. In a large skillet, add 2 tbs. of olive oil. Heat oil and fry cutlets on both sides until browned. (remove and let dry on paper towels. 3. In another skillet, add 2 tbs. of olive oil. Brown garlic and add broccoli, peppers and red onion. Cook for 5 minutes. Add black olives, and a pinch of salt and pepper. Stir well. 4. Once cooled, cut chicken cutlets into strips. 5. 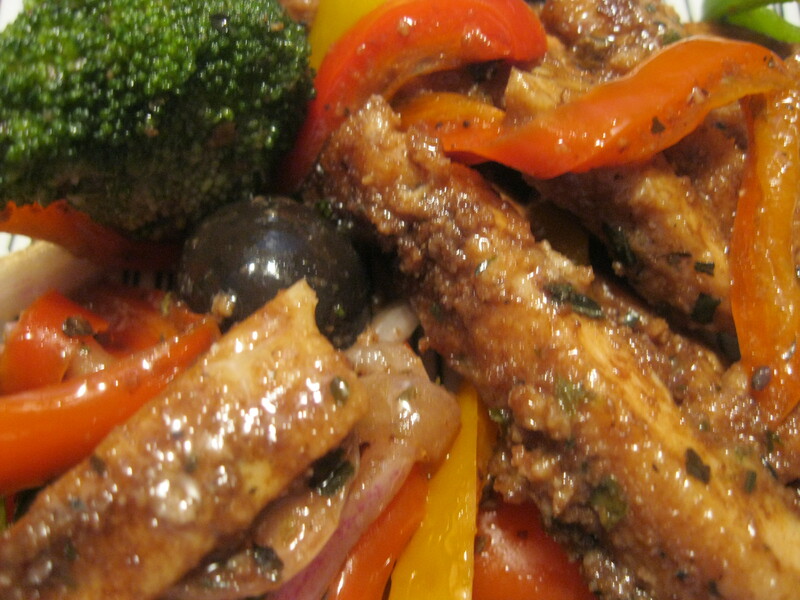 In a large baking dish add chicken cutlets and vegetables. 6. In a small bowl add 1 tbs. of olive oil and 4 tbs. of balsamic vinegar. Mix well. Pour over chicken and vegetables. 7. Bake in oven for 10 minutes and serve hot.